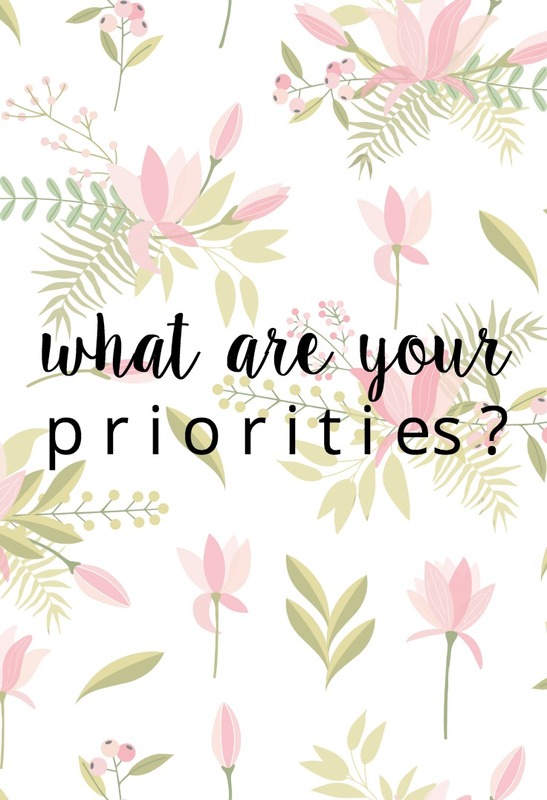 if someone watched how you live, what would they say your priorities are? at bible study the other night, our group discussed sunday's sermon from john 4 where Jesus, in the middle of traveling, intentionally goes to a place that's bound to be crowded and then has a conversation with someone society looked down on. i had never thought about the classic "woman at the well" story in this light: that Jesus had his priorities in order. even though he was probably tired from the long trip, he put himself in a spot where people would be. when his disciples offer him food (was it like, "hey Jesus, we're hungry, hint hint"? ), he replies, "my food...is to do the will of him who sent me and to finish his work" (john 4:34). but if you watched how i live--how i do other things instead of read my Bible, how i avoid potentially-awkward conversations about God, how i forget to ask how you're doing because i'm so "busy," how i watch a few hours of tv every night--would you actually be able to tell that i value God, family, and people...? or would it look like i value comfort? the challenge our group was left with was this: live in such a way that your priorities, your ideal priorities, are obvious. i took that to mean i need to wake up earlier to actually spend time reading the bible and talking to God (as opposed to reading a chapter or two on the train while letting my mind wander). although it was difficult, this morning i was successful and spent time reading and praying; and, by the grace of God (because clearlyyyy i am extra pathetic without him!!) tomorrow i will be, too. what do you value? would others be able to tell?